Just like the beginning of the New Year brings about new goals and resolutions, moving is like having a fresh start on life. Opportunities abound as you set off for new neighborhoods, cities, or states. As a first-time mover, why not take advantage of the exciting chance to make your move smooth and stress-free, and your new home neat and organized? Moving is more than just stuffing packed boxes into a moving truck. With these tips you can make the most of this new adventure. To help ease the stress of moving, you can store a great deal of your belongings and sort and organize at a storage unit, before unpacking in your home near Moraga. You can even use a free moving van when you choose a 5A Rent-A-Space storage unit. Declutter While You Pack: Now is a great time to get rid of those items that you no longer need or want. Take only those items you would love to have in your new home. Save Money on Your Move: Instead of hiring a packing crew, pack your belongings yourself. Be sure to pack items in the right sized boxes with suitable wrapping to protect your fragile items. 5A Rent-A-Space has a full line of boxes and packing materials to assist you in this project. We have bubble wrap, tape and wrapping papers, and even special boxes for dishes and glassware. Keep Pre-Moving Stress Under Control: There are so many tasks to take care of when you move. These can include registering vehicles in a new state, changing your address with your bank, and at the post office. It is easy to get caught up in an endless list and experience stress as you implement your first-time move. Try to get as many things done as possible before you move. Or take an afternoon off to do several things, before or after you transition into your new home, to get it all accomplished at once. Waiting too long will be an inconvenience and you may end up paying fines or penalties for not making necessary changes in time. Manage Post-Moving Stress: While you are trying to get acclimated to your new surroundings, you will add additional stress if you have to continue living out of boxes. Try to unpack as quickly as you can. 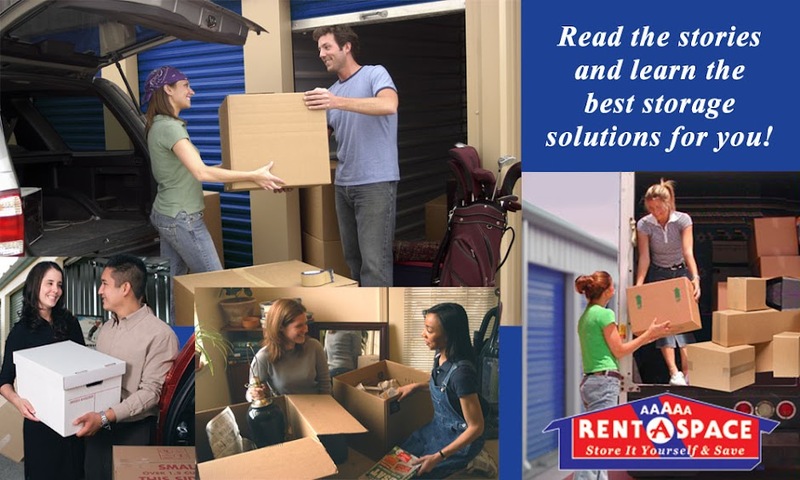 Rent a self-storage unit where you can keep the boxes full of items you don’t need to empty right away. Make Eating Healthy Meals a Must: Make it a point to unpack the kitchen first so you do not have to rely on fast food restaurants or frozen entrees. This will help keep you and your family’s health intact as you deal with settling into a new home. Explore the Area: Whether you want to get more involved in your community and volunteer for charities, or just know where the best local hangouts are, take a break and explore your new city. Make it a day trip for you and your family and enjoy, it’s a fresh, new adventure! Embrace your new surroundings sooner when you declutter your belongings, prepare for your move beforehand, and unpack quickly. A 5A Rent-A-Space self-storage unit gives you the extra space needed to help you unpack and get organized fast. When you rent a storage unit, you can also take advantage of our free moving van. Reserve your self-storage unit online now. Call 5A Rent-A-Space at 925-643-2024 or toll-free at 1-800-5ASPACE (1-800-522-7223) to learn more. Not sure how much space you will need for your items? Use our online Space Calculator to estimate the best unit size for you.